There is one main story today and it is the euro's surge. The euro began the week consolidating it recent gains a heavier bias, but the record of last month's ECB meeting surprised the market with its seeming willingness to change the forward guidance early this year in a more hawkish direction. 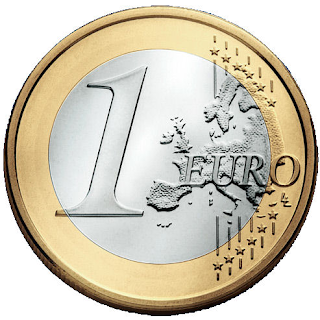 This spurred a 0.7% gain in the euro back above $1.20. The euro stayed bid in Asia, but took another leg up (~0.75%) in response to reports that a preliminary deal was struck between the CDU/CSU and the SPD in Germany to begin negotiations on another grand coalition. 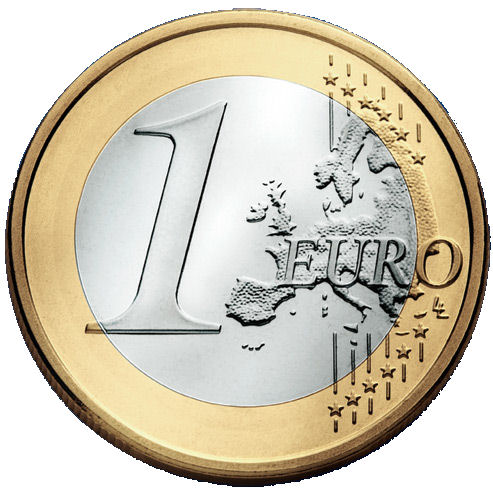 The euro has been bid through last September's high near $1.2090. The euro is approaching the 50% mark of the drop from mid-2014 through the end of 2016, which is found near $1.2165. The 61.8% retracement is found closer to $1.26. The euro's surge has brought options into play that had seemed too far out to be relevant today. There is are 2.5 bln euros struck at $1.21 that expires today, and 1.3 bln euros with a $1.2050 strike. There important implications if the euro's rally is sustained. It will dampen the very inflationary forces that are key to the evolution of the ECB's stance. A stronger euro will also weaken earnings growth of the international companies. Consider this: a 6% appreciation of the euro on a trade-weighted basis is understood to be roughly equivalent to a 100 bp rate hike in terms of economic impact. Since the end of September, the euro has risen about 2.5% on a trade-weighted basis. It had seemed clear at the December ECB meeting that the Governing Council's economic assessment had improved and that as the asset purchases were going to be slowed, greater reliance would be placed on forward guidance. A number of officials seemed to confirm this in their public speeches. What may have caught some observers off-guard was the change in the communication could happen earlier and seems to have broader support than previously understood. Draghi said at his last press conference” By and large the overall discussion today reflected increasing confidence that we have in the convergence of inflation towards a self-sustained inflation path in the medium term and towards our objective." Despite this confidence, Draghi made it clear, and the record of the meeting underscored that the sequencing remains intact. Only sometime after the asset purchases stop will the ECB hike rates. The asset purchases are another key issue. Some of the hawks have been pushing for a date certain to end the purchases. However, a commitment to do so at a future date (i.e., September) would, in effect, decouple the asset purchases from inflation. It became date-dependent not data-dependent to borrow jargon used in the US. The ECB record of the meeting confirms what Draghi said at the press conference: the vast majority of the Governing Council "wants to keep, to retain the open-endness feature of the asset purchase program as it's been designed in the last monetary policy council. There are two other data points to note today. First is from the economic reports from China. The take away is that China reported a larger than expected trade surplus ($54.7 bln vs Bloomberg median survey forecast of $37 bln and the November's $39 bln that was initially $40.2 bln). The cause of the surprise was weaker imports. Exports rose 10.9% year-over-year after a revised 11.5% gain in November. Imports rose 4.5%. The Bloomberg survey looked for 15.1% and in November they had risen by 17.6%. Separately, China reported aggregate financing slowed, ostensibly as the government encourage de-leveraging. Aggregate financing slowed to CNY1.14 trillion from CNY1.6 trillion. The market had looked for a much smaller decline. It was new yuan loans that account for the miss, which means that the shadow banking may not be slowing as much as bank lending. Second, Japan reported somewhat smaller than expected November current account surplus. It typically (seasonally) is smaller in November than October, but the decline from JPY2.18 trillion to JPY1.35 trillion was more than expected. Part of it could be accounted for by trade. The trade surplus of JPY181 bln was expected to be closer to JPY310 bln. Still, the main takeaway ought to be that Japan is on pace for the largest current account surplus since 2007. The dollar is extending this week's losses against the yen. It is now near JPY111, which is the 50% retacement or the rally since early September. The November low extended to JPY110.85. A convincing break could spur a move toward JPY110. A $1.1 bln option struck at JPY111.00 expires today. NY Fed President Dudley, who will retire in the middle of the year, offered a particularly hawkish outlook yesterday, even if not hawkish enough to counter market perceptions of the ECB's stance. Dudley argued that the low present reading of inflation is offset by the outlook for continued above trend growth, the accommodative money supply growth, and easy financial conditions, and the expansive fiscal policy. He warned of risks of the economy overheating in the next few years. At the start of last week, the market had discounted a little more than a 2/3 chance of a hike in March. Now it is closer to 82%, but little change on Dudley's remarks. The US reports CPI and retail sales for December today. There are two reasons why there could be downside risks on the headline. Gasoline prices fell about 3% in the month. The PPI component of finished consumer goods fell 0.4% in December after a 1.7% rise in November. On the other hand, retail sale likely remained robust, especially in the components that are used for GDP calculations. Recall that both the headline and core sales rose 0.8% in November. It is unreasonable to expect that pace to be sustained. The question is how much of a moderation to expect. Anything less than half will be considered good.